For the September 2016 issue of GQ, Michael Chabon wrote a piece about accompanying his son Abraham Chabon, then 13, to Paris Men's Fashion Week. Possessed with a precocious sense of style, Abe was in his element chatting with designers he idolized and turning a critical eye to the freshest runway looks of the season; Chabon Sr., whose interest in clothing stops at "thrift-shopping for vintage western shirts or Hermès neckties," sat idly by, staving off yawns and fighting the impulse that the whole thing was a massive waste of time. 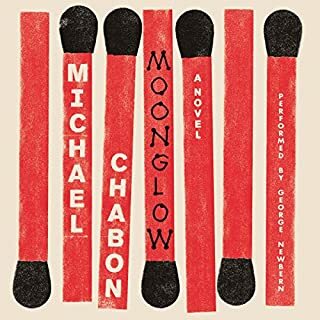 Chabon's extraordinary story of one turbulent weekend in the life of a struggling writer, a satire of the permanent adolescence of the creative class. A wildly successful first novel made Grady Tripp a young star, and seven years later he still hasn't grown up. He's now a writing professor in Pittsburgh, plummeting through middle age, stuck with an unfinishable manuscript, an estranged wife, a pregnant girlfriend, and a talented but deeply disturbed student named James Leer. During one lost weekend at a writing festival with Leer and debauched editor Terry Crabtree, Tripp must finally confront the wreckage made of his past decisions. Mordant but humane, Wonder Boys features characters as loveably flawed as any in American fiction. 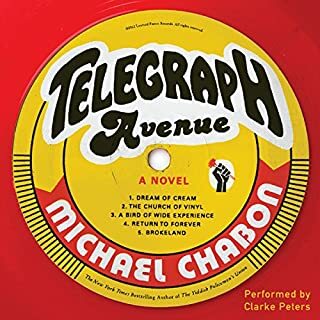 ©1995 Michael Chabon (P)1995 Brilliance Audio, all rights reserved. This is a well-written story about an author who can't let go of his self-deceptions, but finds in a student of his, the feverish machinations that lead him in his youth. The pacing is perfect as the writer, along with his student and his editor, creates chaos in his and in the lives of those around him as he tries to finish the book he's put seven years of his life into. Great story and good narration. I think the narrator style and the story is a good match, even though I find the reading is a little slow for me (so I sped it up to 1.25x). It also took me a while to get used to the narrator's nasal sound. Overall, it's an enjoyable audiobook. 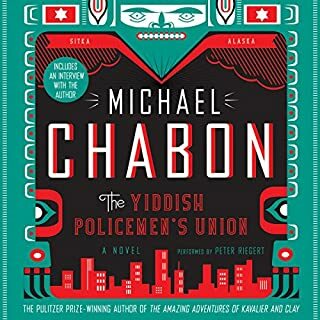 It has all the things that I love about Michael Chabon: the quirky characters, the beautiful filigreed prose, the androgenous and ambiguous lovers. But, it also contains more warmth and crazy energy than some of his later books. And I appreciate that. I appreciate the feeling that this book ran past Chabon's careful editing. Its kinetic narrative isn't about to be slowed by careful massaging. To Hell with all that. In someways it feels a bit like the Pastoral Wanderings of Don Quixote (just replace Rocinante and Sancho Panza with a dead dog and a tuba). IT also at times feels like a Greek New Comedy with the chorus singing through the vortex ring of Afghan Indica pot smoke. So yeah, I liked it good enough. Grady Tripp is struggling to finish the multi-thousand page novel he's worked on for seven years when a) his wife leaves, b) his lover says she's pregnant, c) his agent rejects his book, and most importantly, d) one of his students, a morose, aloof enigma of an aspiring writer, attaches himself and starts a whole lot of trouble. Along the way, Tripp is bitten by a dog, has to dispose of the body when the kid shoots the dog, has his stolen car stolen back, gets stuck with Marilyn Monroe's fur coat that the kid has stolen, loses the only copy of his manuscript to the wind, has fainting spells, is whacked in the head by Joe DiMaggio's baseball bat, and ... what else? Oh, he has to decide between saving his marriage or raising a child with his lover. 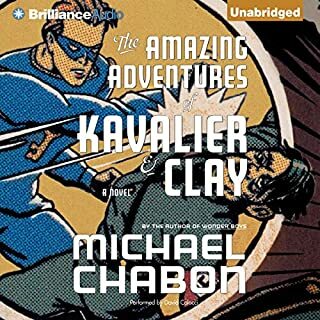 I hated Michael Chabon's Kavalier & Klay, despite its Pulitzer Prize. 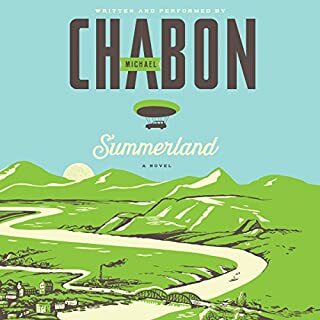 Reading reviews here and on another site, Chabon is definitely a love or hate kind of writer. Depends on how a particular book rubs you. K&K never sat right with me from the start with its bloated prose and unedited meandering. Wonder Boys, published earlier, is nice straightforward writing, concise and compact, easy and engaging. For me, the subject matter strikes a sympathetic chord. This is a book about writers, about the process of writing, about the psychology of writing. On a broader level, it's about identity -- who you are, who you want to be, who you portray yourself to be. There is excellent use of metaphor here, and unlike K&K, Chabon lets the metaphor speak of itself rather than writer-splaining it to you. So I liked this one. It helped that I liked the movie, which is extremely faithful (other than omitting a long Passover sequence with Tripp's in-laws and its Hollywood ending). I have to (sadly) deduct a star from the otherwise excellent narration because of the movie -- David Colacci reads Tripp's first-person voice differently than Michael Douglas, neither better or worse, but Tobey Maguire's portrayal of the student is so good, so deadpan, that Colacci's pales (through no fault of his own). I listened to this book over a weekend, which is roughly the timeframe of the story...so I felt that I had spent those days with the characters. Laugh-out-loud funny and tragic at the same time, with the most preposterous things happening but told in a way that makes them make total sense. "OF COURSE, he takes the dead dog along!" Highly enjoyable. Very human. Very well done. love this novel, and love the movie. highly recommended both, especially to anyone who works on today's "campuses" across the country. 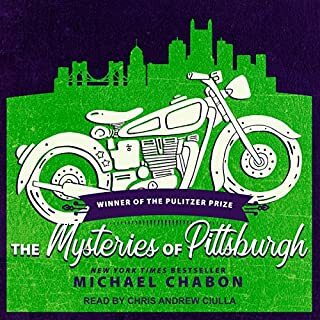 Also a work of Pittsburgh literature. Wonder Boys is an excellent book about a writer. A good story, well told, with smart, subtle humor, about an award winning writer, Grady, who is still struggling to finish his much anticipated second book seven years later. Like many writers, he also teaches creative writing at a university which takes up a lot of his time and complicates his life. When the annual writer's conference, WordFest, rolls around his editor comes to town too see how Grady's long awaited book is coming along. His wife also leaves Grady over his affair with the university's chancellor who is married to the head of English Deptartment. Just when you think his life can't get any more complicated it does. Wonder Boys is an excellent book for anyone interested in the complicated life of a writer trying to make a comeback while the rest of his life seems to be falling apart all at once. I loved the story and the characters. The movie of this book follows the story closely. If you enjoyed the film, you'll love the book. This is Chabon's best work. A satire of academia, a coming of age story, or a meditation on what it means to write. Hilarious with an emotional depth where absurdities abound. A classic. 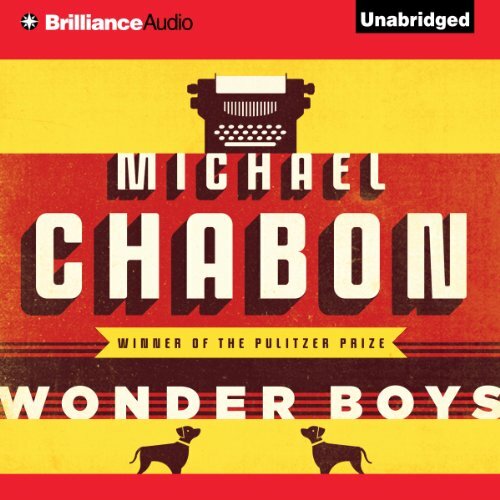 Where does Wonder Boys rank among all the audiobooks you’ve listened to so far? What was one of the most memorable moments of Wonder Boys? Shooting the blind dog - no one could forget that. David Colacci is a super star in the world of narration. He seamlessly moves from character to character and scene to scene. The warmth and affection the "hero's" soon to be ex-in-laws showed him when he came to their home unannounced for a holiday meal. Writers and writing - an entertaining romp! Engaging story focused on three interconnected characters - the author, the editor, and the student... All takes place around a university-based WriteFest with a range of twists and turns around writing, substance abuse, lies and truth-telling.